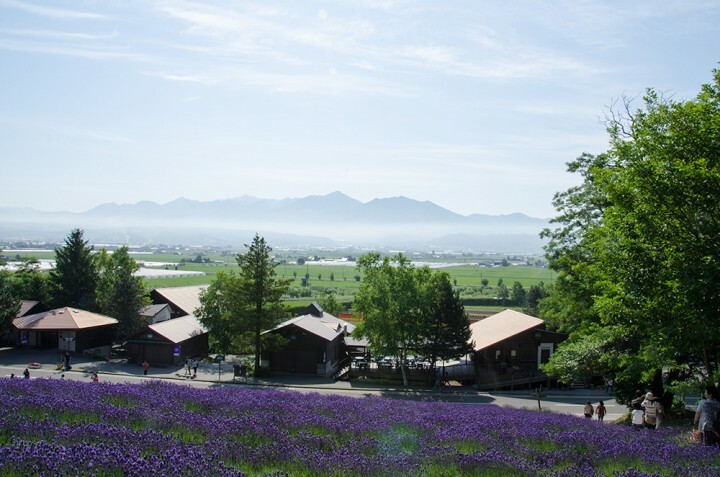 Farm Tomita made Furano famous as the place of lavender. 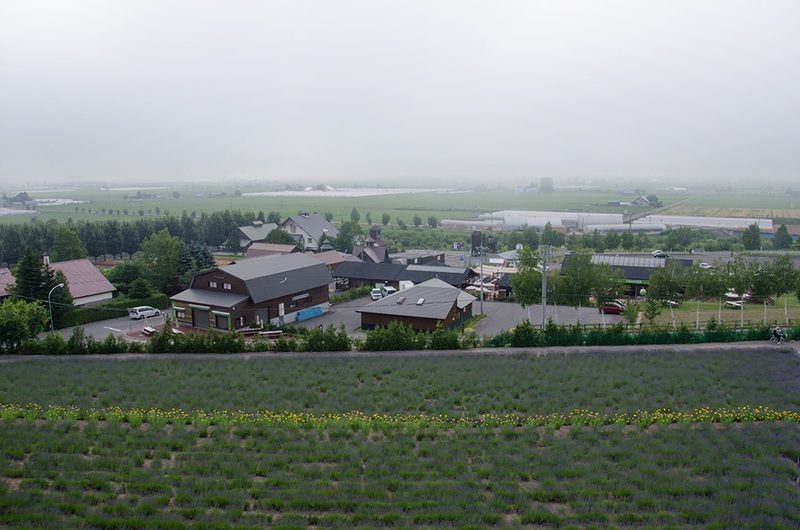 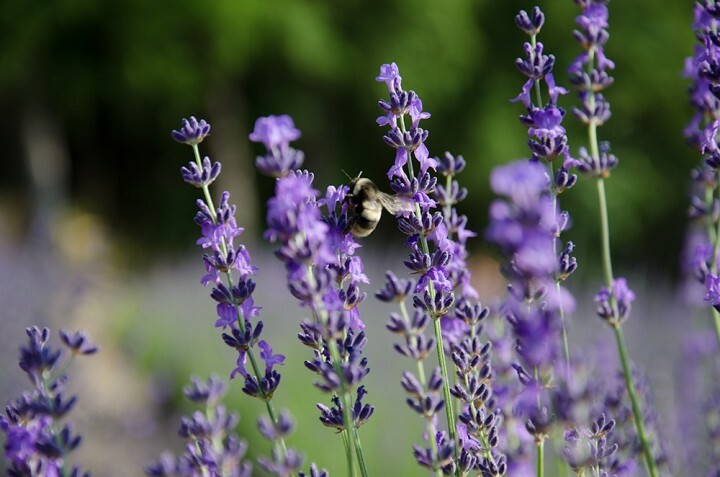 The founder, Tadao Tomita and his wife, Sachiko started a lavender farm now named ‘Traditional lavender Farm’ in Nakafurano town, indeed Farm Tomita is located in Nakafurano that takes 15 minutes by car from Furano sity. 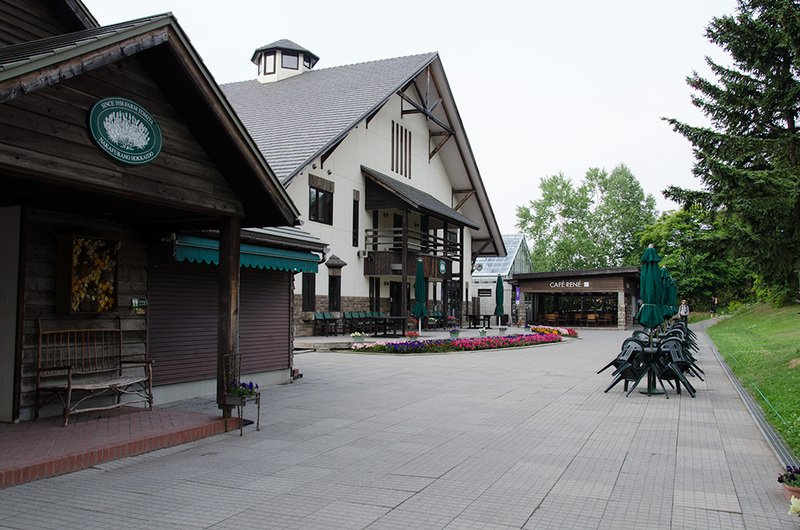 When you get to Farm Tomita, you will see a building and parking left side before Farm Tomita. 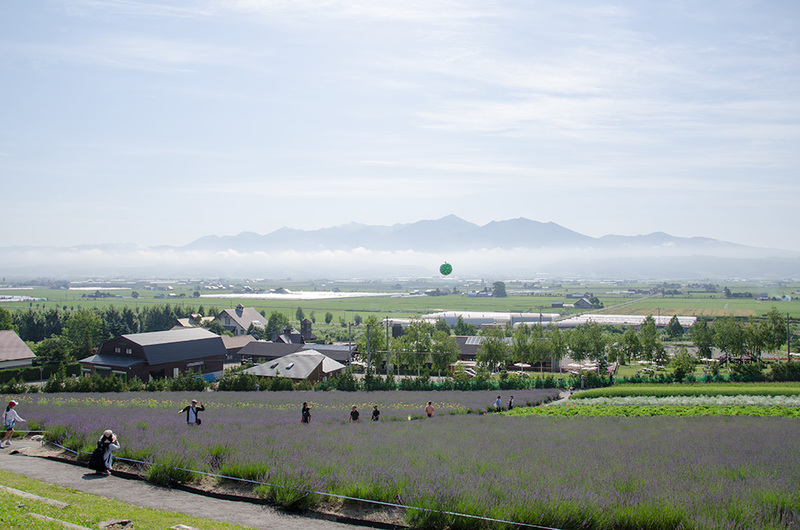 These facilities and a big melon advertisement balloon is outstanding which is not Farm Tomita’s. 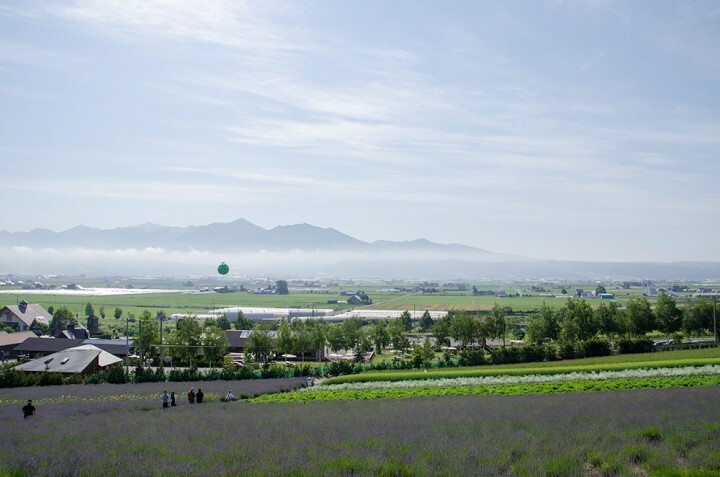 This balloon is destroying Nakafurano’s beautiful scenery. 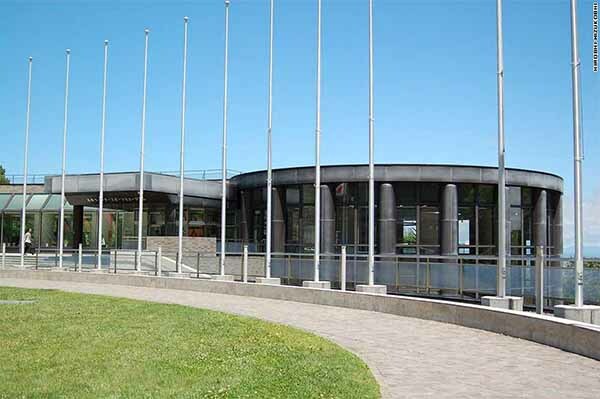 This is quite a sad monument and I really hate this kind of advertisement. 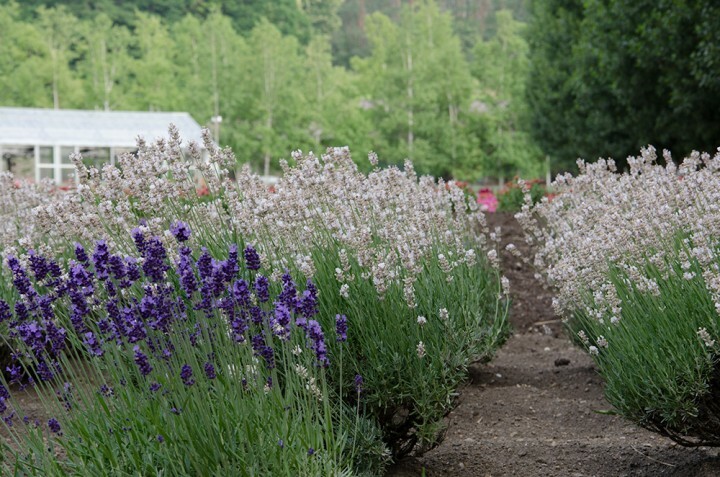 From early blossom lavenders to late ones, Farm Tomita is peak from July to August. If you miss these season, you will see other flowers. 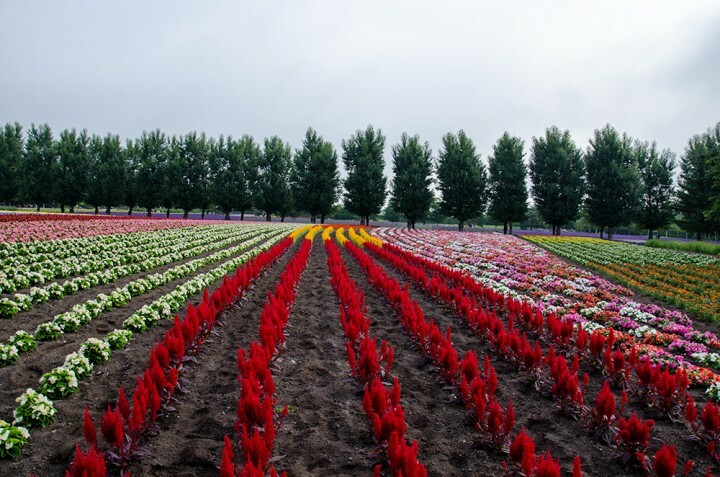 The fields are constructed with themes as season or colors. 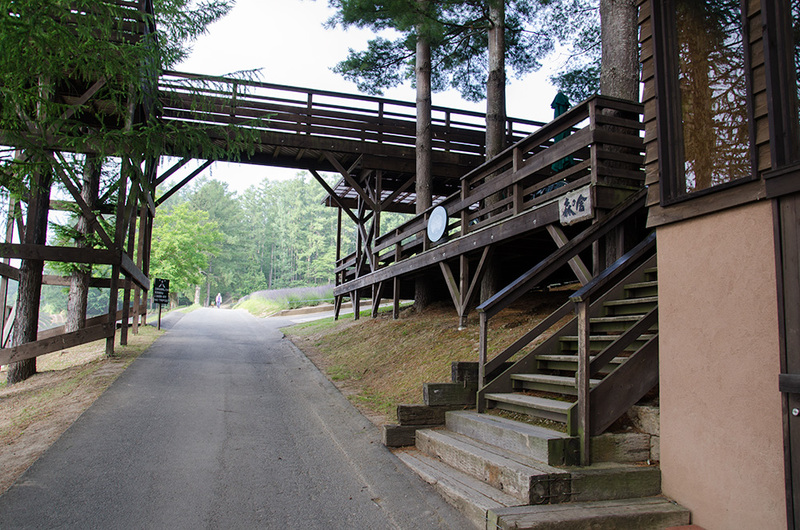 You might see a beautiful scenery from a observation deck. 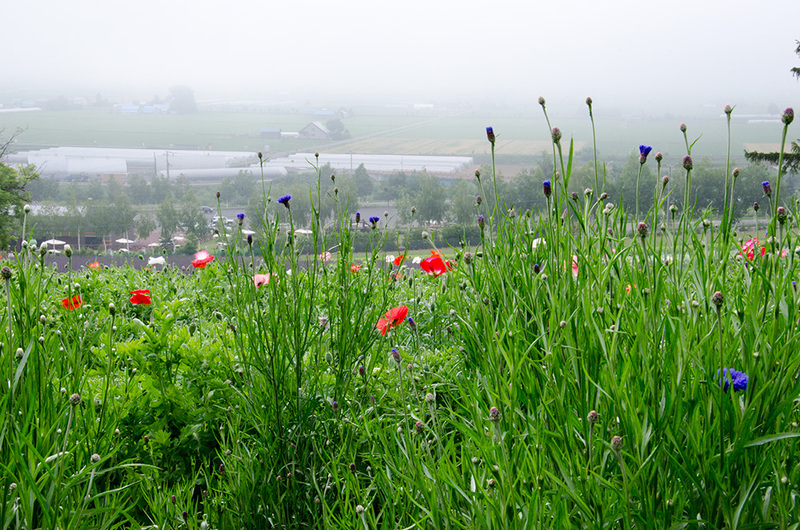 In this early morning, the fog are covered the Tokachi mountains far from here. 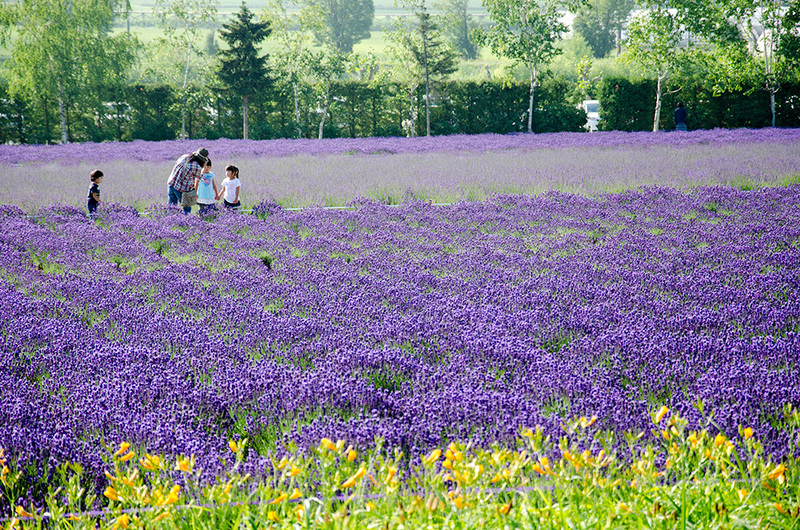 The house of lavender perfume, shops and cafes, these facilities are very comfortable design and space which are matched around the fields and hills. Farm Tomita makes you feel summer of Hokkaido and the forgettable place you stay in. 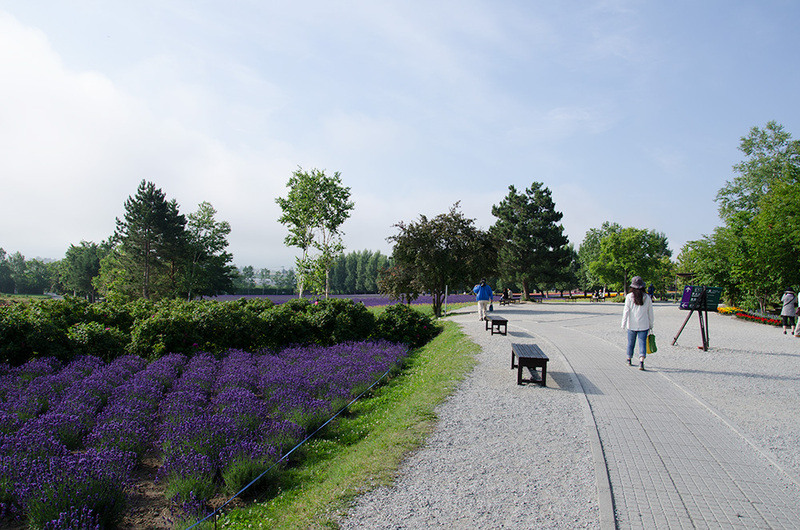 Hi, I will be at Furano on 5th of September 2018. may i know if there is any possibilities of seeing any lavender? Any suggestion of location. 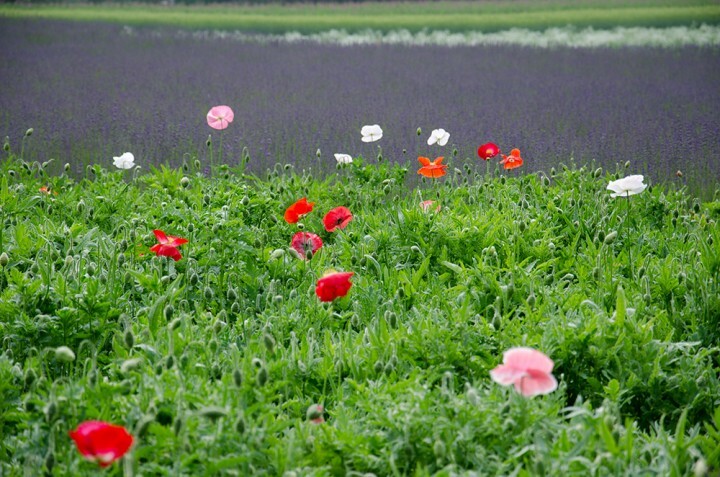 If there is no lavender, is there any place that we can see other flowers? But, unfortunately you’ll not see any lavender at that time. You’ll see lavender until July. 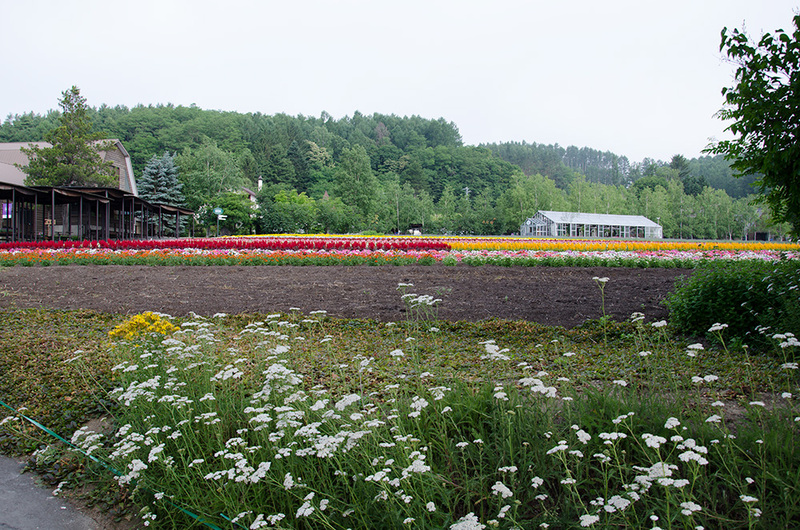 On the other hand, you will see other beautiful flower in Furano. Usually, Hokkaido has nice weather in September when the harvest season at every where, you can taste fruits such as melon in Furano that is very famous. More, it is nice to drive from Furano to Biei for North area or from Frano to Tomamu. 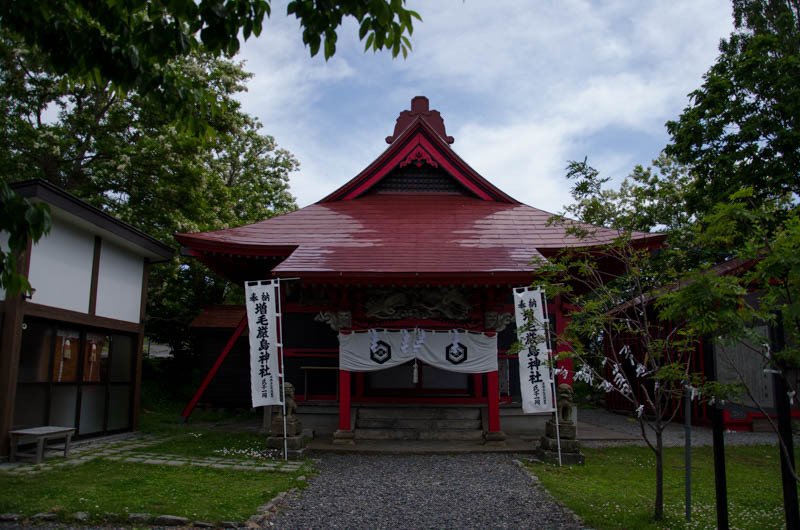 In the early morning Tomamu, you have a chance to see UNKAI.